I could never pick just one dessert. I love them all. lol. And great article! Thanks for sharing. These look so good & fudgy! Great article in Huffpost! I totally agree – growing up we only had dessert on Sunday after dinner! Great article, too! I completely agree. I tell my kids that desserts are a “sometimes thing”. I don’t remember my mother making desserts every week but for special occasions. Sometimes my parents would let us order a dessert out at a restaurant if it was a special occasion. I have started making 6 inch cakes and cheesecakes at home, and having us all make due with much smaller portions. I enjoyed your article on Huff Post. Those brownies look great, by the way. Using a smaller cake tin is a very sneaky and very good idea. I like it! 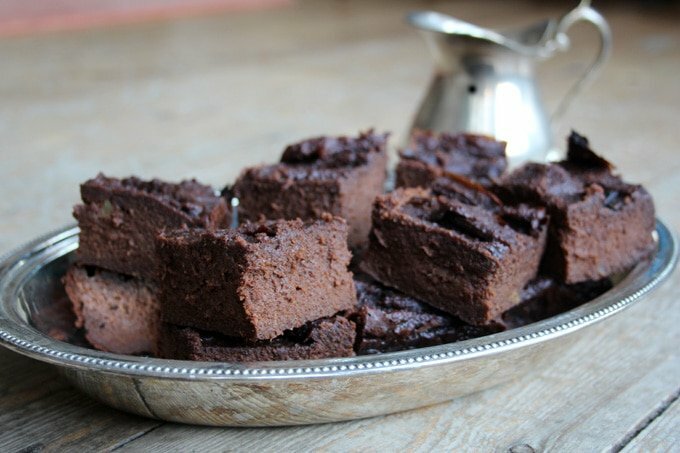 Sweet potato brownies sound amazing! Great article! That’s a really useful article over on HuffPost – thank you!